Service: PPC with a monthly fee. Period: June 26 — July 9, 2018. “Real estate” is a complicated theme for advertisers. The peculiarities of this niche impose constraints on marketers when developing an advertising campaign strategy and setting up ads. In most cases, people think of buying an apartment for several months and even longer. When choosing a flat, a customer considers several options of the residential compound, its infrastructure and apartments arrangement. This means that a specialist won’t be able to analyze the statistics and modify ads just in a few days. We at Netpeak believe that the constant optimization and experiments are a key to the profitable advertising campaigns. 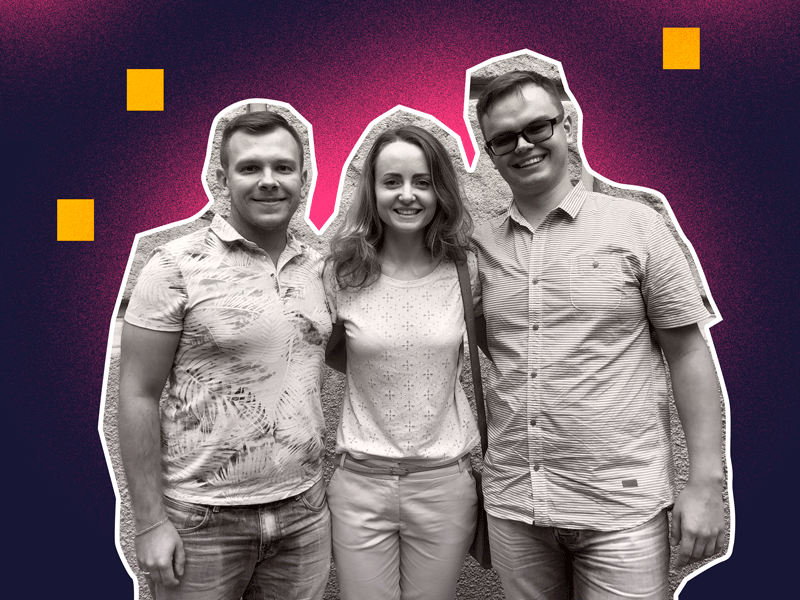 Therefore, we decided to test how dynamic remarketing would work in the real estate advertising since even niches with high-margin products and services require reminders. The question is how often to remind and what ways to choose. Want to know the experiment results? Keep reading and you will know whether this marketing pattern may be applied to niches with the high average check. “Atlant” building company resorted to Netpeak to launch an advertising campaign. So said so done. We quickly launched an advertising campaign and quickly drove traffic. But what’s next? “Atlant” set a goal to increase a number of leads. There were a lot of ways to contact the real estate developer via site — but all of them would end up with communication with a manager who would advise on the most appropriate apartment for a customer. We realized that we faced a complicated and time-consuming task on setting up advertising campaign for a large residential compound. Hence, the methods appropriate for online stores with a lot of daily traffic wouldn’t work. We needed new strategies. Having analyzed the site and its usability, we made a sketch of the customer journey map. The availability of advanced filters was a great advantage. They simplified the search process and the advertising campaign setup. 1. 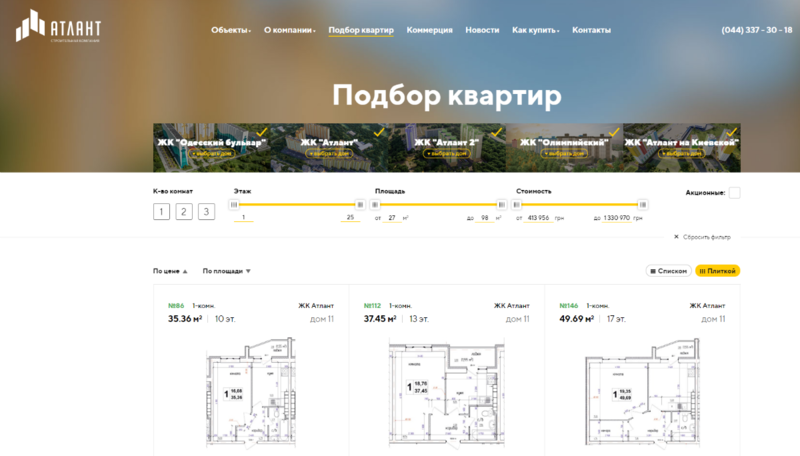 Search advertising — to show an offer to the potential customers right when they’re googling something like “apartments in Kiev from a developer”. 2. Display advertising — to acquaint a potential customer with a brand and to vividly show the peculiarities of a definite residential compound. 3. Remarketing — properly set remarketing helps these advertising campaigns achieve a meaningful complex effect. Carefully considered remarketing is focused on the decision-making stage. Therefore, every stage of a sales funnel requires remarketing lists of different ads delivery duration and messages for definite groups of customers. So, how to precisely set remarketing and drive target leads? We asked a client to prepare a feed for a dynamic remarketing campaign. This feed type requires images. 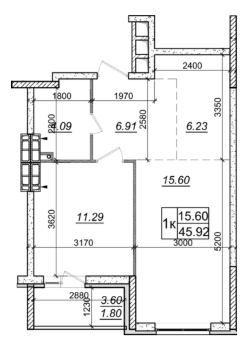 We decided to use ordinary apartment planning — 2D sketches with total area, windows placement and partition walls. Comparison to other GDN campaigns (Display Network advertising). The average conversion rate of search campaigns (excluding branded campaigns) was 2,43%. Campaign with the initial feed got a few clicks and low (if compared to the search campaigns) conversion rate. We weren’t satisfied with such results and tried another approach. Having analyzed the results of the previous advertising campaigns, we asked a client to replace 2D images in feed with the 3D ones. We realized that showing pics of the residential compound and black-and-white sketches didn’t work well. A client needs a true planning picture. It’s not about showing only design, it’s about making a customer feel like he is already there, in his own new apartment. Vivid pictures free imagination: they help him understand how to furnish his apartment, where to put packages from the supermarket or a cat house. These details affect the conversion. 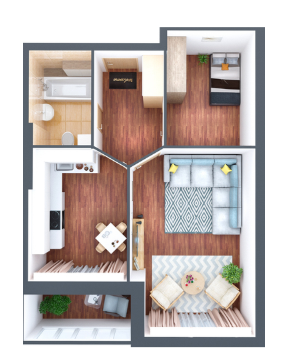 “Atlant” prepared 3D images and immediately added them to the apartment planning description. It didn’t take long to see the result. A report provides data on advertising campaign for a period from July 3 to July 9, 2018. As you see, the conversion rate after changing images was 1,67%. This is almost 5.4 times more than it was with the previous images. During the same period, the results of other GDN campaigns remained unchanged. The conversion rate of search campaigns was 2.58%. Search campaigns were still working very well, especially considering a high level of competitiveness in Kiev and the region. Changing the contextual advertising contractor was a difficult decision. But today, cooperation with Netpeak fully meets our expectations. We’re satisfied with the modern approach, efficiency and professionalism. Eugene Glazyrin — Middle PPC specialist. 1. Use dynamic remarketing in the “real estate” niche - it really works. search remarketing (if a client is still searching for a flat in the search engine). A customer thinks of buying an apartment for a long time. Therefore, the maximum period of the remarketing list we used in setting up an advertising campaign was 180 days. 2. Prepare a feed with the apartment 3D images for a dynamic remarketing campaign. Yes, it’s quite difficult to do, but this will definitely help your business. Don’t just offer a product from the catalog, but think how your offer may help a customer solve his problem. Think like a customer: when choosing an apartment and considering various options, he doesn’t need a building plan, he just wants to understand whether this apartment is comfortable for him.